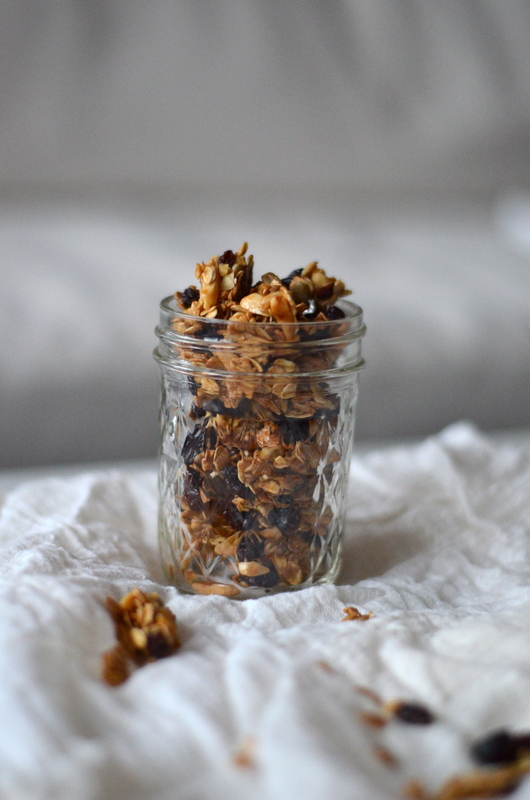 My challenge lately has been granola. 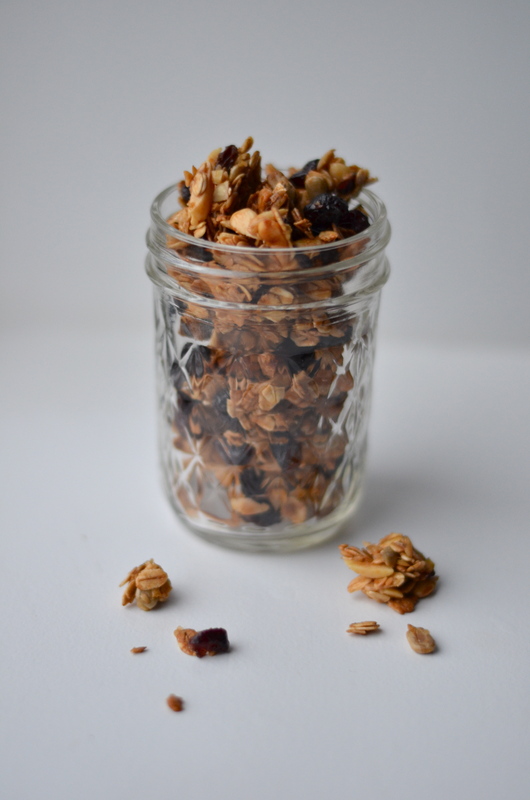 My father in law challenged me to make homemade granola that is as tasty as the stuff he gets at whole foods. It has proved to be a greater challenge than anticipated. 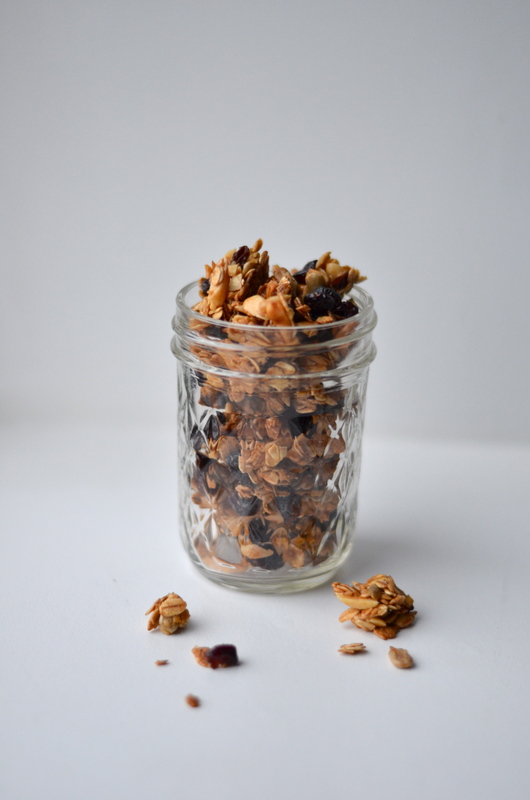 This basic granola was batch #1. I wanted to make something super simple to taste and then go from there. 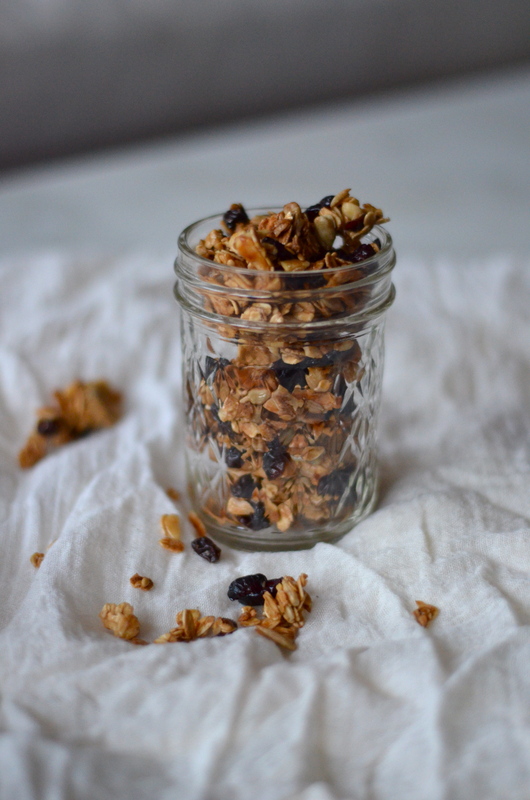 Don’t get me wrong, this granola was good. But it was no where near my father in laws (nor my) expectations. 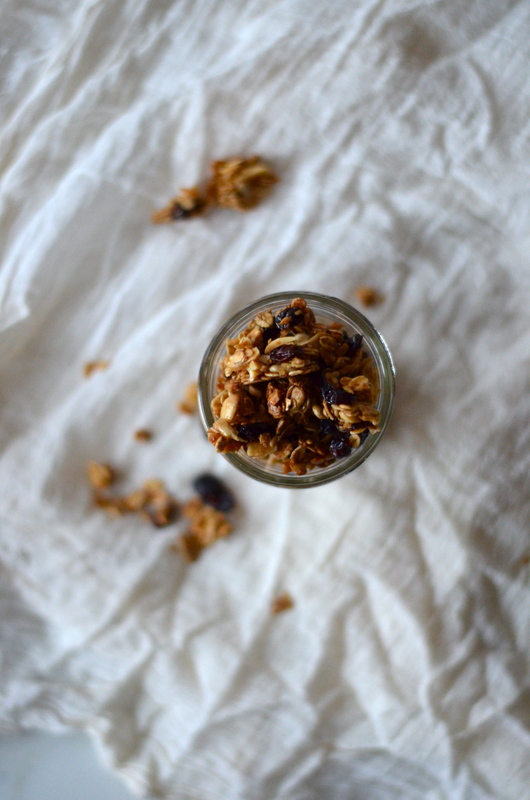 I can’t wait to share some of the amazing granola recipes I am coming up with at home. They are life changing. 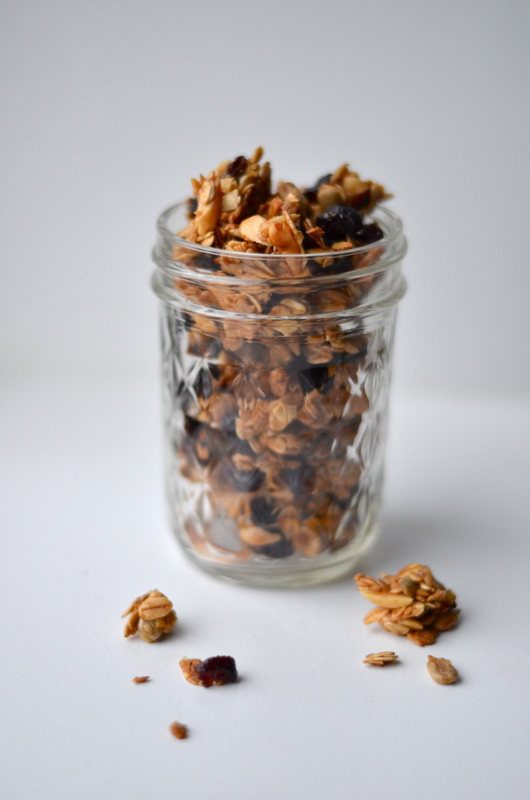 In the mean time, you can play with this recipe and add or subtract whatever ingredients you would like! I went with the basics. 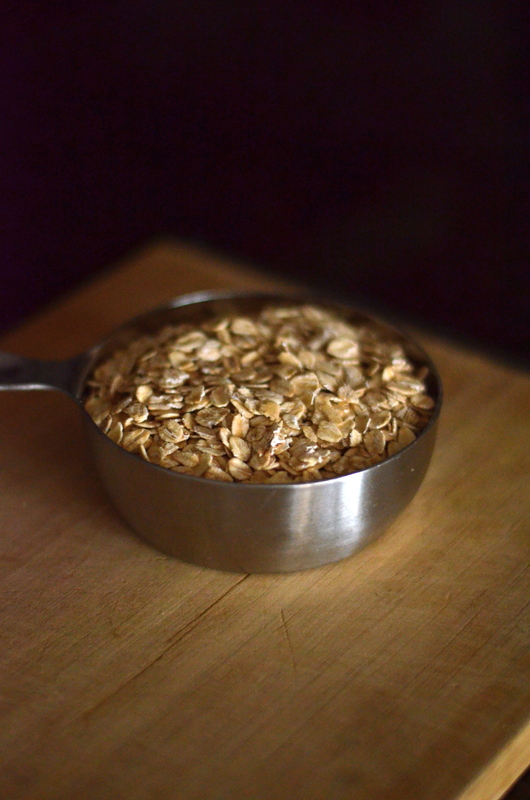 You start with oats. 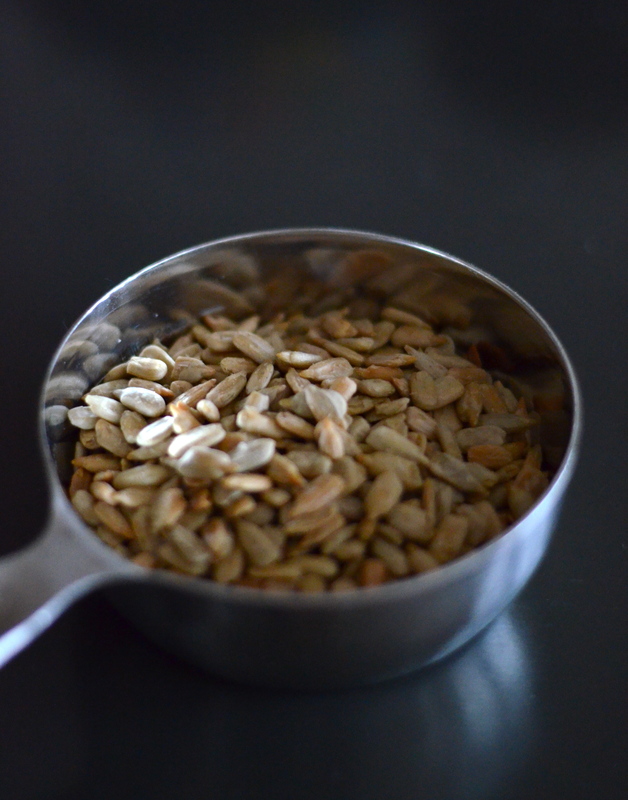 Then you add 1 cup of any nut of choice, and 1/2 cup of a smaller nut (Pepita, sunflower seed, etc). You then add your sweetener: Honey, maple syrup, agave, sugar. You choose spices or extracts of choice. 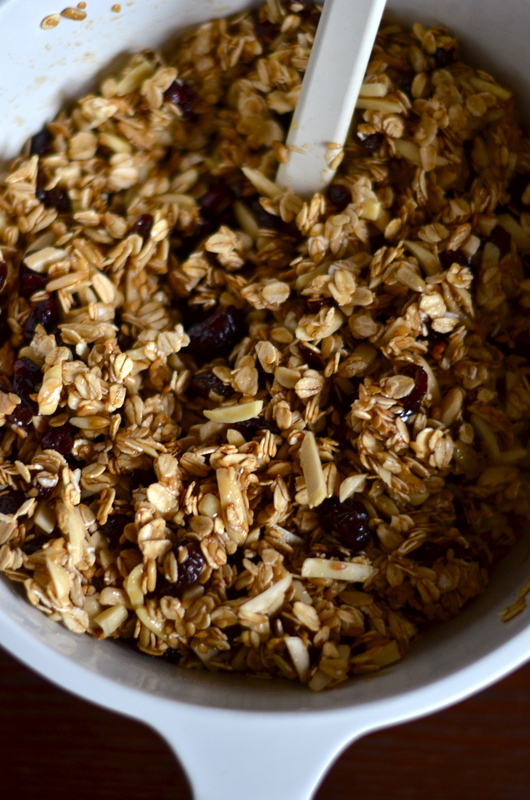 You can also add shredded coconut, flax seed, chia or hemp seed. 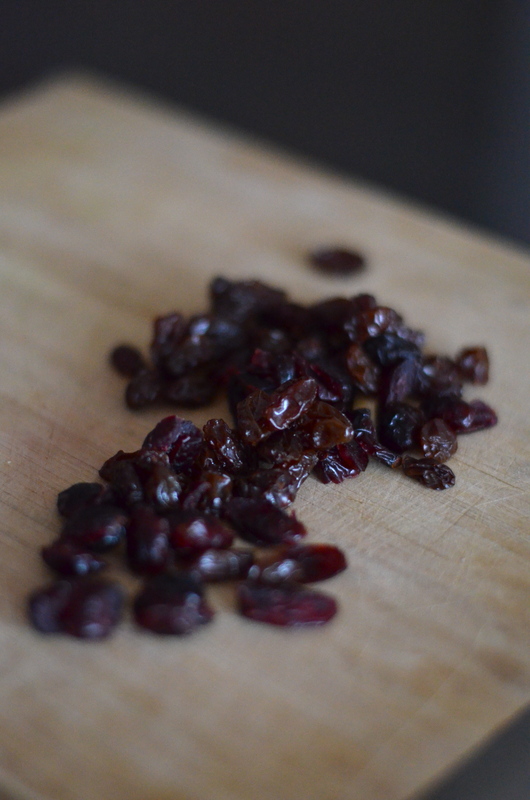 And then you choose a fruit or sweet addition (chocolate chip, craisin, raisin, dried banana, apricot pieces). 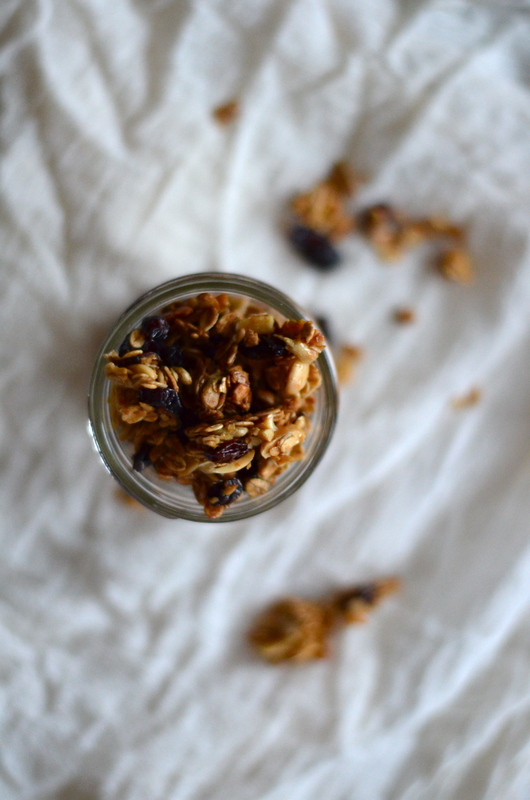 The reason I’m so excited about my granola experiment is because I’ve had a lot of fun thinking up new ideas. There are sooooooooo many brands and concoctions out there and I’ve been finding plenty of inspiration. 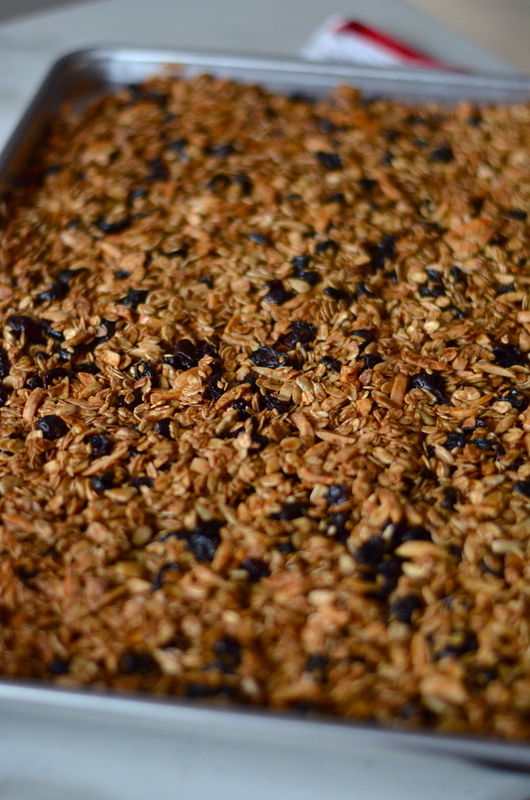 I’ll keep you posted as I progress and make new batches, but will start you off with this one! Hope you’re having a great week! It is cold and gloomy here and I am looking very forward to a potential warm day/thunderstorms tomorrow! As I mentioned last week, I have some super exciting news to share with you this week (not pregnant, Mom. No one get too excited) that I will tell you about on Friday. 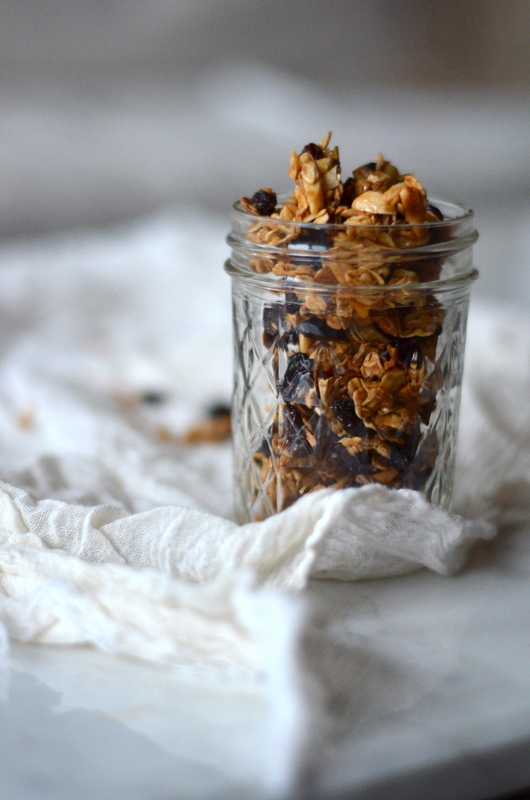 Until then, make this granola to crunch on in anticipation. Notice the sneaky cat face?!! 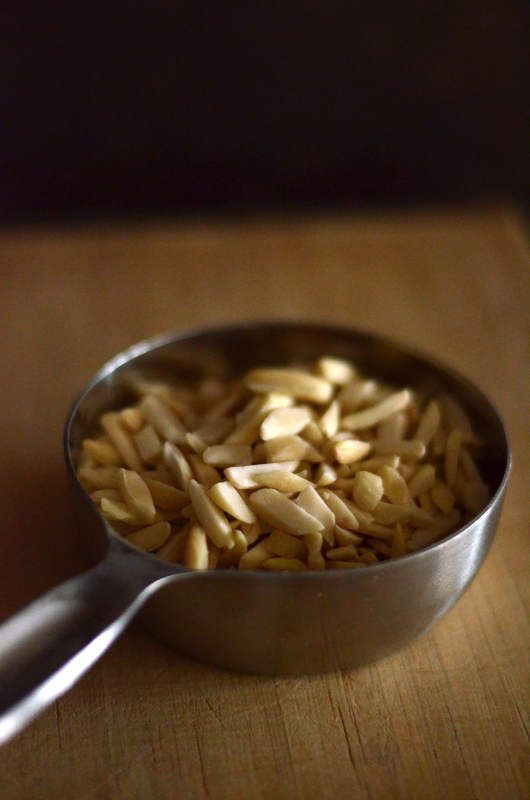 In a large bowl, combine oats, nuts and flax. 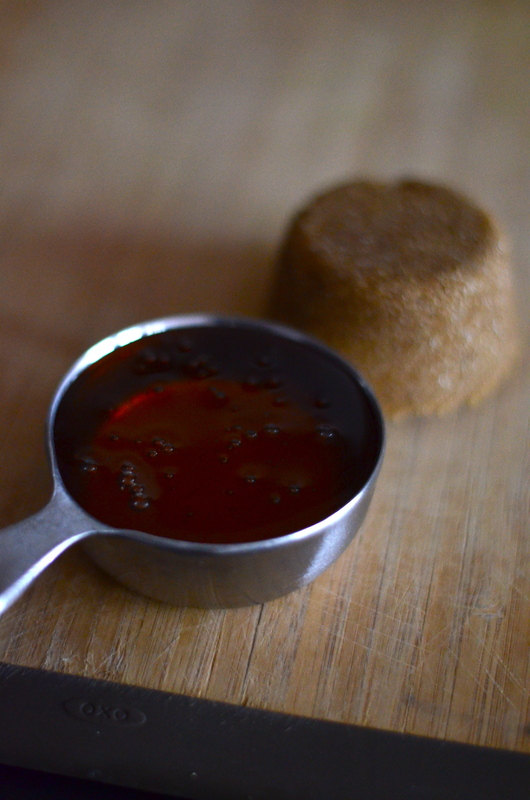 In a small bowl, whisk together the sugar, honey, oil and salt. 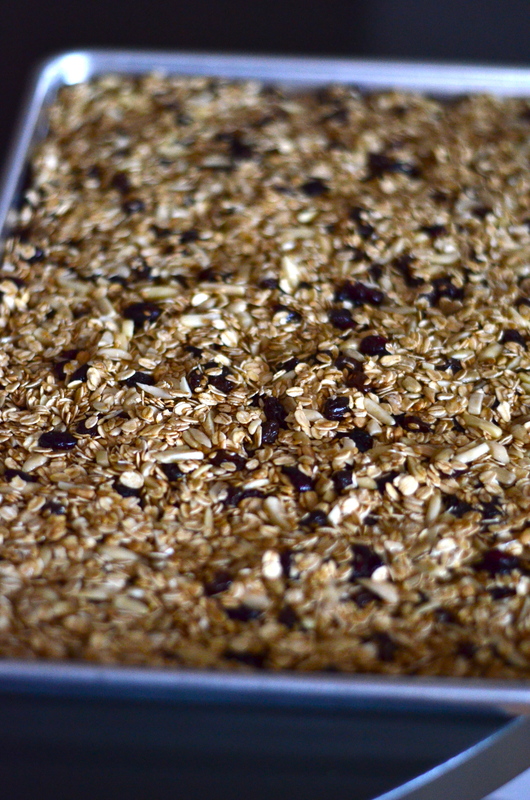 Pour honey mixture over oats and mix well. 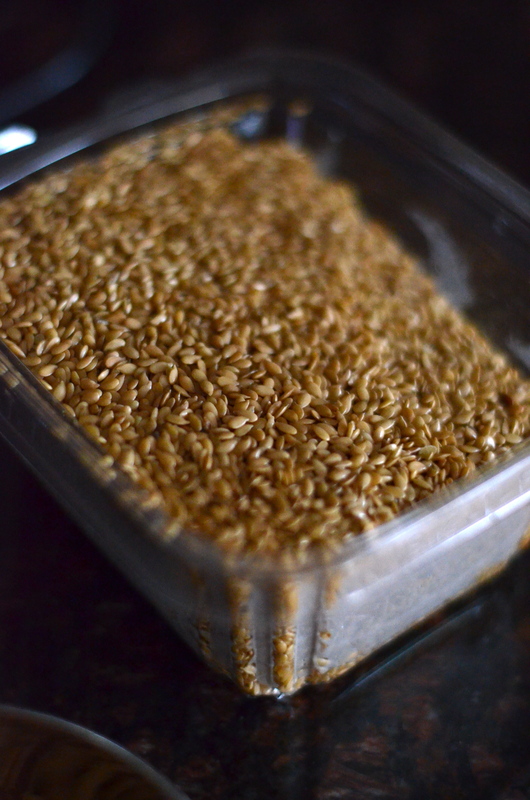 Place on a parchment lined baking sheet and bake for 20-30 minutes until the oats begin to slightly brown. 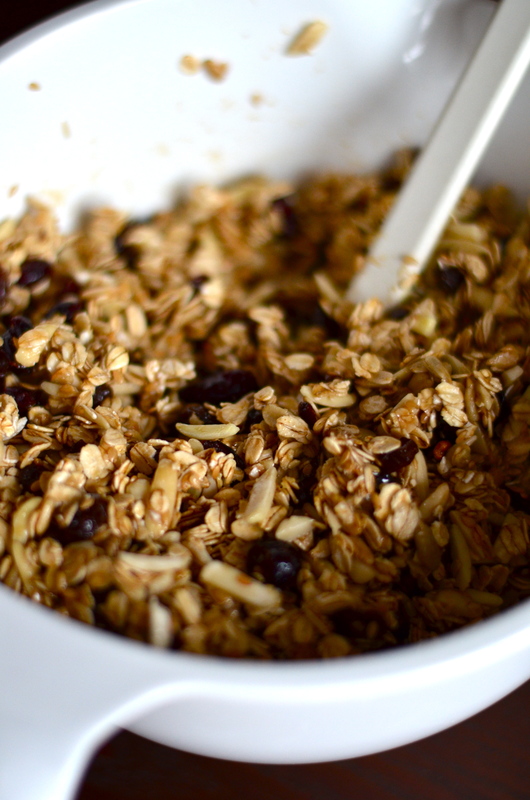 You can stir or flip the mixture a couple times during the process if you would like to. Some people stir so that it doesn’t brown too much, others leave it so it stays very clumpy. I flip once during the process. 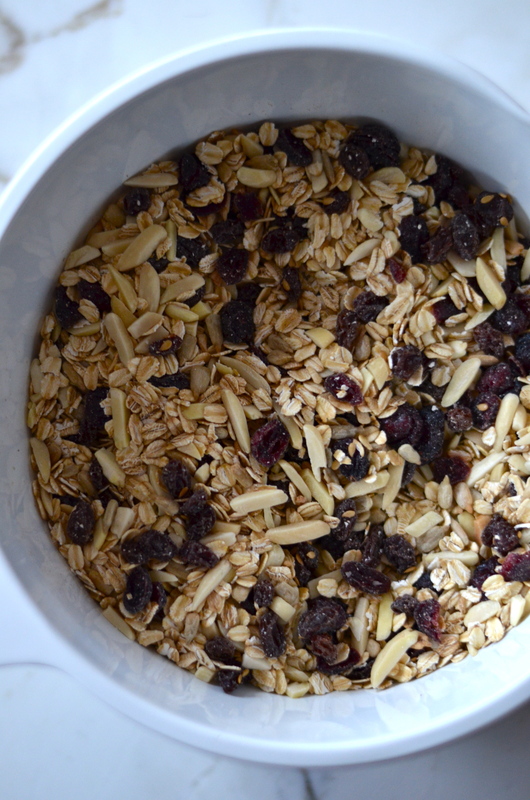 Once browned, let the oats cool completely and once they are cool you can toss the fruit into the oats. DO NOT bake with the fruit. As you can tell by my pictures, I did. You will break a tooth. 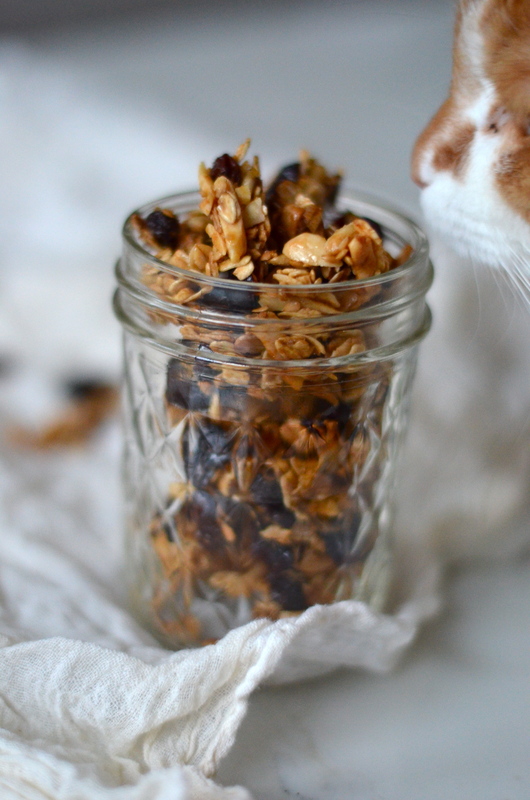 Stir the fruit in after you bake! 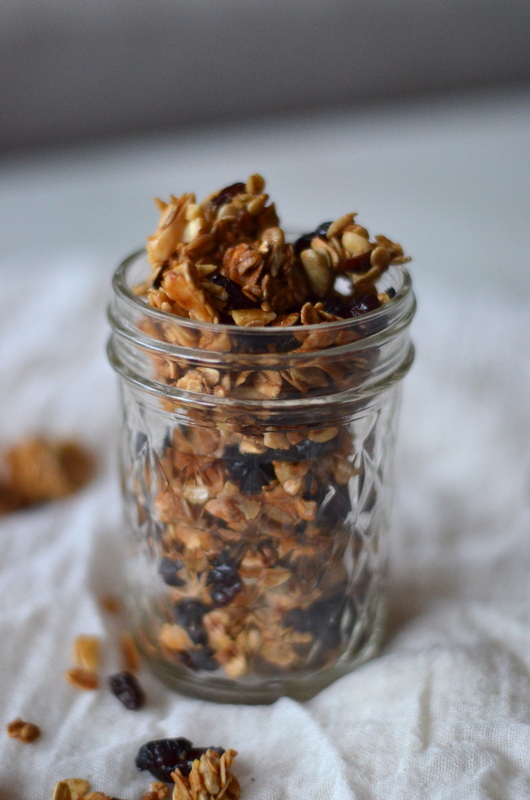 Serve sprinkled over yogurt, in a cup with milk or eat alone as a snack! 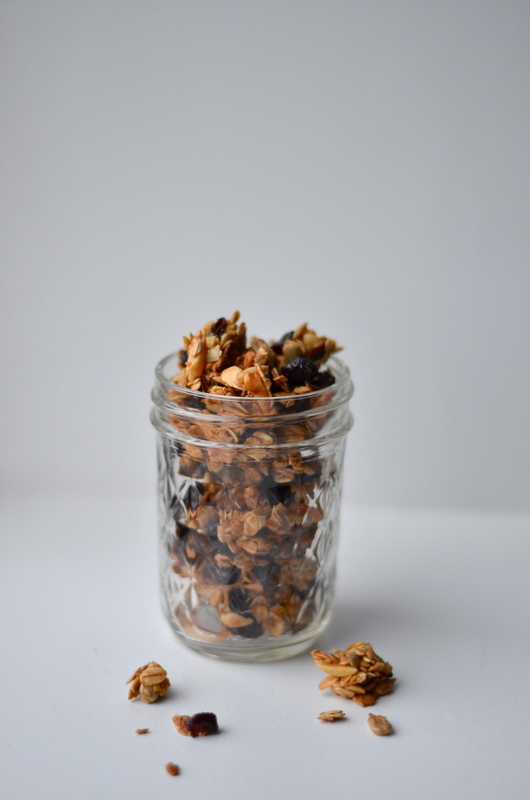 You can alter this recipe in any way by adding different nuts, different dried fruits, chocolate chips/candy pieces. You can use maple syrup instead of or with the honey-adding less or more honey/brown sugar depending on the level of sweetness you prefer. You can also add some spices like nutmeg, cinnamon or pumpkin pie spice. Thanks for this! Definitely trying it! Reblogged this on AuPairCare of North Alabama. Yum. Loving your recipes 🙂 Thank you.